You’d assume that every dog owner takes their pup out at least once a day, but unfortunately that’s not the case. It’s quite staggering to me that only half of dog owners walk their dog at least once a day and a massive 33% admitted that they rarely walk their dogs! This figure is actually quite staggering, especially when you take into account all of the benefits that come with dog walking for both dog and owner. Studies have shown that for overweight people/dogs, a 30-minute walk, three times each week can lower blood pressure, increase energy, and lower your weight by 5% and your dog’s by up to 15%. In some aspects dogs are like humans. If they eat and don’t exercise then they’ll put on weight. Your dog doesn’t have the option of going to the gym before work, and they’re unlikely to be inclined to do laps of the garden when you let them out to ‘use the facilities’. This means that if you aren’t taking your dog out on daily, lengthy walks then they’ll quickly begin to put on weight. Long walks should also be complemented with a balanced diet. Feeding your dog high quality, grain free dog food will go a long way to helping them maintain a healthy weight. Being cooped up in your house or flat isn’t good for you or your canine companion. Taking your dog on regular walks will benefit you as you’ll be getting out of the house, taking in some fresh air and feel a sense of purpose. Your dog will also really appreciate this and walked dogs tend to be far better behaved than those who aren’t. Going for walks alone, and generally being alone for long periods of time can lead to you becoming bored and unhappy. By taking your dog on regular walks can help reduce loneliness for both you and your dog. 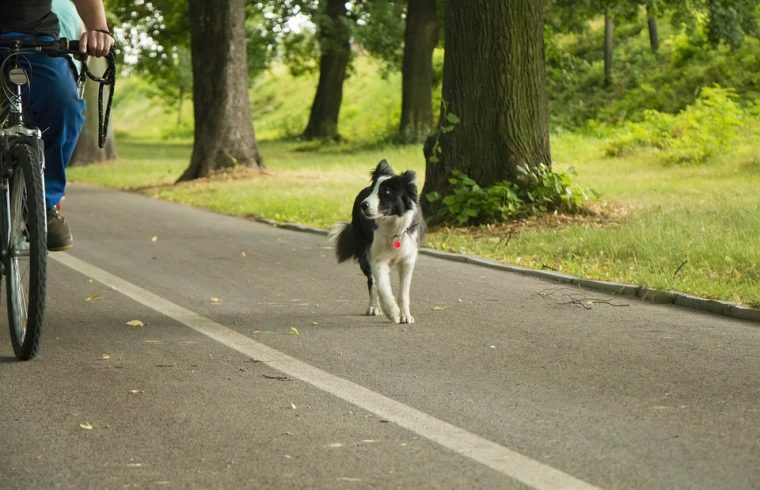 Going for walks in public parks and well-known dog walking spots also gives you and your pup the opportunity to meet likeminded people (and canines) who share a common interest. Taking your dog for walks can offer a fantastic opportunity to take in some of your local countryside. No matter where about in the UK you live there will be some nice countryside and views for you to take in, even if this is simply a park. If you don’t believe that there are any nice areas to visit within walking distance of where you live, it’s possible to drive somewhere to find a great dog walking spot. For example, check out these 8 breath-taking walks in Yorkshire. If you’re one of the people who don’t take your dog for regular walks then it’s key that you start doing so now. It will be of great benefit to you and your pet, making for a happier, healthier life for you both.